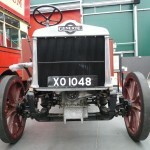 The NS-type represented a major step forward during the rapid development of the London bus in the inter-war years. 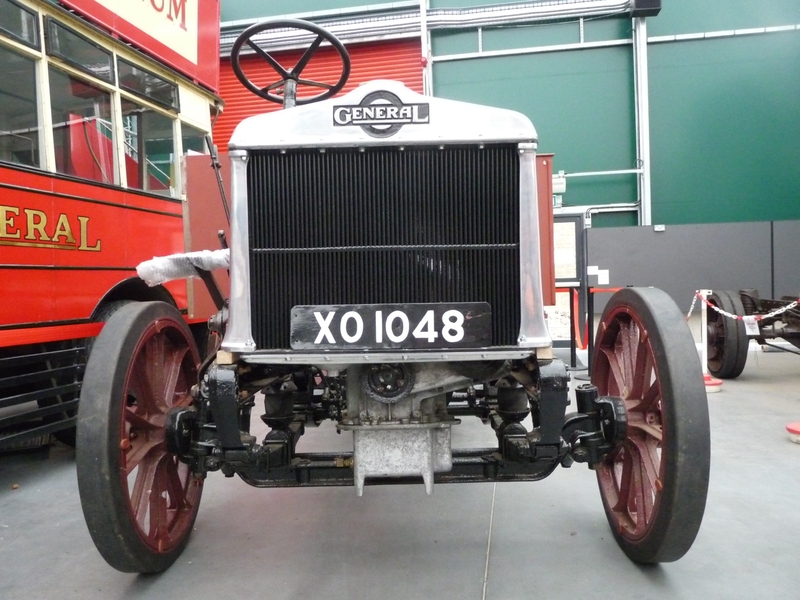 This bus type was the first to be designed to have a covered top – the high-floor of earlier types meant that the height-to-width ratio precluded the fitting of a roof as the centre of gravity would have been too high. 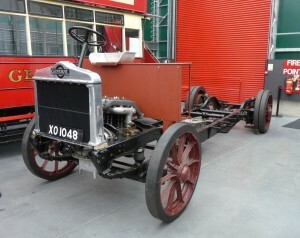 The drop-frame chassis of the NS allowed a low, single-step entry onto the platform of the bus. Despite this significant advance in design, the conservative attitude of the licensing authorities in London meant that covered-top bodies continued to be precluded for a further 3 years so that all the early NS-types had to be built with their top decks exposed to the elements. The NS-type was a great success to the extent that over 2,400 were built and the last were not withdrawn from London Transport service until late 1937. 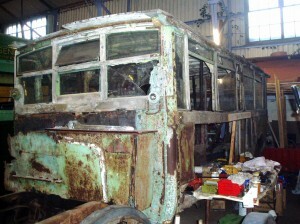 Those open-toppers that survived longest were eventually fitted with roofs. Little history has so far been uncovered for NS 174, but it is known that it entered service in 1923 at Hammersmith garage for use on route 11. In those days, the licensing authorities required a London bus to be fully overhauled every 12 months and, in order to streamline this vast task as much as possible, the London General Omnibus Company (LGOC) swapped vehicle identities freely so that, as one bus entered the works for overhaul, another might leave with the identity (registration number and stock number) of the incoming bus. In addition, bus bodies and chassis were frequently inter-changed at overhaul, so the researcher’s task of tracking the history of one individual chassis/body combination is a daunting one! The Museum was fortunate to be able to acquire the surviving remains (3 chassis and one body) of several NS-types and, from these remains, it is reconstructing the bus in the form it entered service, ie with solid tyres, open top and its original 1923 identity as ‘NS 174’. The chassis and mechanical parts have already been fully restored and work will commence before long on re-building the body. Most of the old body was rotten beyond salvation but, wherever possible, parts will be re-used. Other parts can at least provide templates for the construction of new ones. 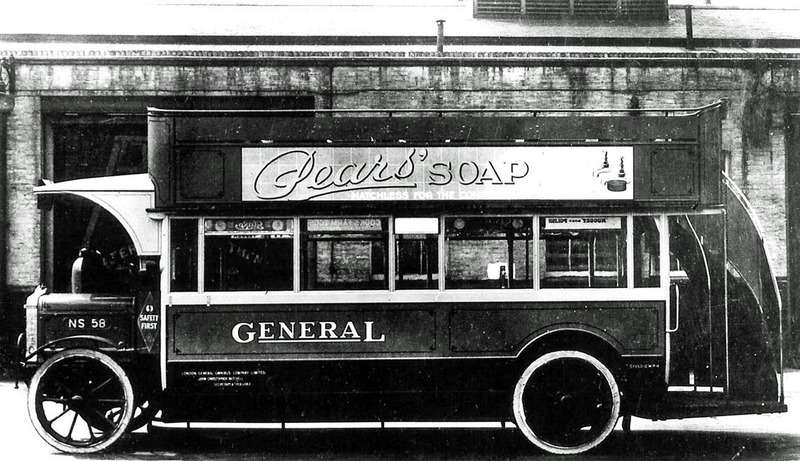 Our NS is one of only two known survivors of this important type of London bus and the only one in its original form on solid tyres and with an open top. This is what NS 174 will look like when restoration is complete.